No, sometimes it’s extremely harmful. Turns out, quite a few well-intentioned gardeners are planting the wrong kinds of milkweed, with disastrous results to monarch butterfly populations. A recent study (Satterfeld et. al., 2015) has found that some gardeners in the southern U.S. are planting the wrong species of milkweed (Asclepias spp.) The non-native species Asclepias curassavica has become widely available in Zone 8-9 nurseries, and is touted as an easy-to-grow, attractive monarch magnet. It is. The butterflies love it. However, when planted in warm environments such as southern Texas and across the Gulf Coast to Florida, the plant doesn’t suffer from winter die-back as does the native milkweed for these regions. A. curassavica is a tropical plant, blooming off and on all year. 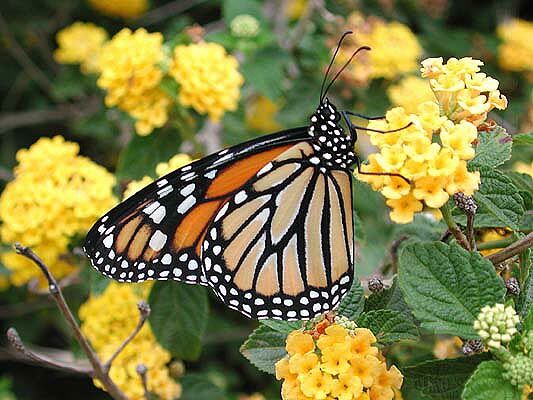 Discovering a new plant in which to lay their eggs year-round, the monarchs aren’t bothering to continue their migration all the way into Mexico. They are then set up for winter kill when the odd winter frost creeps into these regions. Making matter worse, scientists have discovered an additional problem. This tropical milkweed hosts the protozoan parasite Ophryocystis elektrscirrha (OE). Ingested by monarchs in their caterpillar stage, butterflies are covered in spores when hatching. These infected monarchs are greatly weakened, and die before laying new eggs. The solution? Do your research. Contact your local university extension service and inquire as to the EXACT species of Asclepias to plant in your yard for the benefit of monarchs. Be wary of information from websites that are not university based. 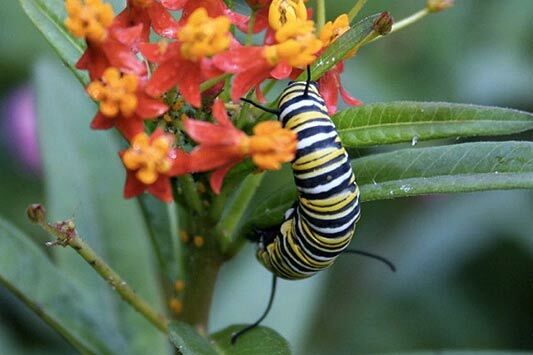 In researching this piece, I came across a lengthy 2010 article on the website of an organization named Texas Butterfly Ranch that extolled the virtues of Asclepias curassavica as a wonderful new tropical milkweed for monarchs.